FINALS UPDATE: The Big Bang Theory (2.6) adjusted up while Grey's Anatomy (2.0), Scandal (1.5), Mom (1.2), Superstore (R) (0.6) and Powerless (0.5) adjusted down. CBS was back from its March Madness hiatus with a new occupant in the 10/9c hour: reality veteran The Amazing Race (0.9), regularly scheduled in the 10:00 hour for the first time in over a decade. Race was an improvement on previous occupant Training Day but down noticeably from its last premiere, a 1.3 on a Friday in February 2016. Leading in was a soft return for the comedies The Big Bang Theory (2.5), The Great Indoors (1.4), Mom (1.3) and Life in Pieces (1.1). On NBC, Powerless (0.6) was back at 8:30 after being preempted for Trial and Error repeats the last two weeks, and hit a new series low (also only tying last week's T&E repeat). It led out of a repeat of Superstore (0.7). After that came a terrible showing from Chicago Med (0.9), at a new low by two tenths, while The Blacklist: Redemption (0.8) was actually up. TGIT had a strong night, with Grey's Anatomy (2.1) and Scandal (1.6) each growing by multiple tenths to their best numbers since mid-February. The Catch (0.8) was preliminarily up a tenth, which would tie its season high from the premiere. The CW also looked solid as Supernatural (0.6) and Riverdale (0.4) returned from hiatus, with the former rebounding from its series low. And Fox's MasterChef Junior (1.0) inched down to a new season low, leading into another 0.6 from Kicking and Screaming. FINALS UPDATE: Modern Family (2.1), Survivor (1.8) and Chicago PD (1.2) adjusted up. 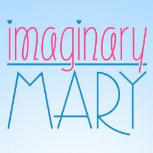 ABC previewed its new Tuesday sitcom Imaginary Mary (1.4) in a special Wednesday 8:30 edition. It was up a tick from what Speechless did here two weeks ago, but maybe a bit weaker than what Speechless would've done considering it was a positive night for lead-in The Goldbergs (1.7) as well as lead-out Modern Family (2.0). Later in the night, both Black-ish (1.5) and Designated Survivor (1.1) were even with their last episodes. On Fox, Shots Fired (1.0) lost just a tenth in its second week, even as Empire (2.4) fell pretty hard to a new series low in its second episode of the spring. NBC's Blindspot (0.9) continued to show a little life in the spring, holding onto last week's uptick on another low night for Law and Order: SVU (1.1) and Chicago PD (1.1). CBS' Criminal Minds: Beyond Borders (0.9) also tried to make its case, bouncing back from last week's low even as Criminal Minds (1.2) was down. Survivor hit its fourth straight 1.7 to open the spring. And Arrow headed into its last hiatus of the season with another 0.5, while The 100 stuck at 0.3. FINALS UPDATE: American Housewife (R) (0.8) and The Flash (0.9) adjusted up while Legends of Tomorrow (0.5) adjusted down. A 12-season run finally came to an end on Tuesday, as Fox's crime drama Bones (1.0) exited the stage with a new season high and its first trip into the ones since December 2015. The rare bit of positive mojo for Fox even seemed to spill into the 8/7c hour a bit, as New Girl (0.9) and The Mick (0.9) were both up. 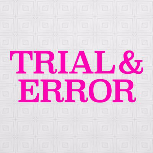 On NBC, it was a rough second week in the 9/8c hour for Trial and Error (1.0/0.8): down two tenths from last week at 9:00 and three tenths at 9:30. Its lead-in from The Voice (2.1) was down two tenths from last week, while Chicago Fire (1.4) was down just one. Despite a little added Fox competition, CBS looked pretty normal with its fully-renewed trio of NCIS (1.6), Bull (1.3) and NCIS: New Orleans (1.1). The mothership ticked up from its new series low two weeks ago. ABC had more comedy repeats (0.8/0.7/0.8/0.7) leading into the finale of People Icons (0.5), which couldn't make it three weeks in a row of growth and instead fell back to the series premiere number. And the CW's The Flash (0.8) is eyeing a new series low but may have a shot at an uptick in finals. Despite that downswing, Legends of Tomorrow preliminarily held onto last week's 0.6. These numbers are current through Monday, March 27. Big Little Lies (0.54) rose to another new series high on Sunday, up by a full tenth from last week. AMC also had a nice Sunday with The Walking Dead (4.88) and week two of Into the Badlands (1.49) both on the upswing. FINALS UPDATE: The Big Bang Theory (R) (1.3), The Great Indoors (1.0) and The Voice (2.4) adjusted up while Quantico (0.7), Scorpion (R) (0.7), Taken (1.0) and Jane the Virgin (0.3) adjusted down. Numbers and analysis coming shortly. CBS gave bubble comedy The Great Indoors a different look, on Monday at 9:30 after Superior Donuts. FINALS UPDATE: Madam Secretary (1.1) adjusted up while America's Funniest Home Videos (0.9), NCAA Overrun (5.2), 60 Minutes (2.5), Little Big Shots (R) (0.6) and Family Guy (1.0) adjusted down. With the game of the year in college basketball as a lead-in (preliminary 5.3 in the 7:00 half-hour), CBS' 60 Minutes (3.0/2.3), NCIS: Los Angeles (1.6), Madam Secretary (1.1/1.0) and even Elementary (0.8) are all eyeing their best numbers since football season. These shows all started 4 minutes after their listed start times on the East Coast, so it's possible there could be some slight downward adjustments. Fox's The Simpsons had the week off, so the network went with two originals of Bob's Burgers (0.8/0.9) at 7:30 and 8:00. Making History clung to 0.7 again at 8:30, while Family Guy (1.1) was even and The Last Man on Earth (0.9) ticked up. FINALS UPDATE: NCAA Basketball (1.7) adjusted down. On the second Friday of CBS' March Madness hiatus (2.2/2.2/2.8), ABC comedies Last Man Standing (1.0) and Dr. Ken (0.8) along with the NBC drama Grimm (0.8) were all even, one week before they wrap for the season next week. ABC had another Shark Tank repeat (0.7) leading into 20/20 (0.7), dropping well behind Dateline (0.9/1.0) in the last two hours. Fox's Sleepy Hollow was also a week out from its finale, leading out of another repeat from Rosewood. Both shows were up to 0.5 after hitting 0.4 each of the previous three Fridays. And the CW's The Originals continued to impress early on in its fourth season, hitting a preliminary 0.4 this week after just barely missing out on the number last week. Reign rounded out the night with 0.2 yet again. FINALS UPDATE: NCAA Basketball (2.1) adjusted up while NCAA Basketball (2.0), Trial and Error (R) (0.6) and Supernatural (R) (0.2) adjusted down. Numbers and analysis coming soon. FINALS UPDATE: Law and Order: SVU (1.2) adjusted up. Fox's brightest bulb Empire (2.8) was finally back for the spring, and up a tick from the 8/7c fall finale. However, that left it about 40% behind the 4.8 for the year-ago spring premiere. 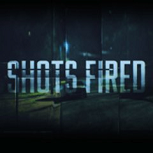 It had little help from its new lead-in, the new drama Shots Fired (1.1), which opened below Lethal Weapon's lowest rating of the season. NBC's Blindspot (0.9) and Law and Order: SVU (1.1) were back for the first time in four weeks. Blindspot tried to keep itself in the NBC picture by upticking from its last couple episodes of the winter, even on a night when SVU and Chicago PD (1.2) were each tying their series lows. ABC had a night of repeat comedies (1.0/1.0/1.1/0.8) leading into Designated Survivor (1.1), which finally came back to earth a bit in a tougher situation than its first two eps of the spring. 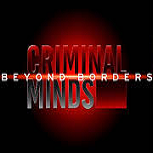 On CBS, Survivor (1.7) and Criminal Minds (1.3) were steady while Criminal Minds: Beyond Borders (0.8) inched down. And the CW was even with Arrow (0.5) and The 100 (0.3). FINALS UPDATE: Black-ish (R) (0.8), The Voice (2.3) and The Flash (1.0) adjusted up. On NBC's first Tuesday without This Is Us, the network took a major step down at 9/8c with new comedy Trial and Error (1.2/1.1). The good news for T&E is that this was basically in line with the 1.4/1.0 it pulled in the 10/9c hour after This Is Us last week. Both The Voice (2.2) and Chicago Fire (1.5) were on the downswing without This Is Us in the middle. Fox had its regular lineup of New Girl (0.8), The Mick (0.8) and Bones (0.8). It was a new low for The Mick, which was in repeats last week when New Girl fell to its first 0.8 of the season. Meanwhile, Bones was on the uptick in its penultimate episode. On the CW, The Flash (0.9) had a musical crossover with Supergirl, but it was actually Legends of Tomorrow (0.6) that was on the upswing week-to-week. And it was repeat mode for CBS (0.9/0.8/0.7) as well as ABC's comedies (0.9/0.8/0.8/0.7). The networks' only original was the third episode of People Icons (0.7), which grew for the second week in a row. These numbers are current through Monday, March 20. After 15 months off, AMC's sophomore drama Into the Badlands returned with a 1.42 demo rating, retaining less than a third of its lead-in from The Walking Dead (4.72). That's a far cry from the November 2015 series premiere (3.15) as well as the other two episodes that aired after The Walking Dead (2.27 & 2.46). Of course, Dead itself was getting much bigger raw ratings back then (with a 6.51, 6.65 and 7.02 in those weeks). Like last year, Badlands will get three weeks of The Walking Dead as a lead-in before setting out on its own. FINALS UPDATE: Dancing with the Stars (2.1) adjusted up while Quantico (0.7) and Taken (0.9) adjusted down. ABC's Dancing with the Stars (2.0/2.1) had an outstanding return, up by at least two tenths from its spring 2016 premiere and roughly tying the fall 2016 opener during pre-premiere week. Perhaps the even greater miracle was that it actually bumped up the struggling Quantico (0.8) by a couple notches, though the 0.9 -> 0.6 breakdown suggests it could be a 0.7 after finals. The return of the older-skewing Stars did not bode well for the competition. On CBS, it was still another week of downward movement for comedies Kevin Can Wait (1.1), Man with a Plan (1.0), Superior Donuts (1.0) and 2 Broke Girls (1.0). The only small consolation was that Scorpion hung in there at 1.1 at 10/9c. And it was a brutal night for Fox's 24: Legacy (0.8), crashing by two tenths following one of its relatively more promising points last week. APB was stuck at last week's 0.7 low. The Voice (2.2/2.5) stayed on top but took a slightly bigger hit than it usually does in this spot. Taken (1.0) followed it downward, going to a new low by two tenths. The CW's Supergirl (0.6) dipped to a new low, and Jane the Virgin stayed at 0.3. FINALS UPDATE: Little Big Shots (R) (0.7) and Little Big Shots (1.6) adjusted up while Bob's Burgers (R) (0.6) adjusted down. An already terrible ABC lineup became an outright black hole this Sunday. Once Upon a Time (0.8) inched down to a new low, but still looked like a champ in comparison with lead-out dramas Time After Time (down two tenths to 0.4) and American Crime (down a tenth from last week's premiere to 0.4). NBC's still leading the entertainment landscape, but it too lost some more steam this week. 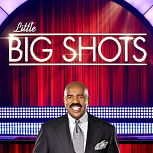 Little Big Shots (1.5) was down two more tenths, as was Chicago Justice (1.0). 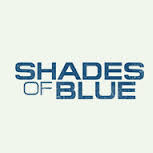 Recently renewed Shades of Blue (0.8) lost a tenth. Fox was steadier than its counterparts, but still had one-tenth slippage from The Simpsons (1.0) and The Last Man on Earth (0.8). Bob's Burgers (0.8) and Family Guy (1.1) were even, while Making History managed to hold at 0.7 in week three. A March Madness lead-in (preliminary 3.5) helped boost CBS' 60 Minutes (1.8/1.5) but did little for NCIS: Los Angeles (1.2/1.1), Madam Secretary (0.8) and Elementary (0.6). The CBS lineup started 35 minutes after the hour and thus may adjust. FINALS UPDATE: NCAA Basketball (1.3) and Dateline (0.8) adjusted down. A week after The Vampire Diaries wrapped for the series, the CW brought back spin-off The Originals (0.3) in its vacated timeslot, and it opened at the low end of TVD's results this season (as well as the low end of its own Friday results from last season). Reign had its familiar 0.2 at 9/8c. On ABC, comedies Last Man Standing (1.0) and Dr. Ken (0.8) tied last week's below-average results. The network then had another two-hour Truth & Lies special (1.0/1.1), this time on the Manson family. The last special (on the Menendez brothers) had a 1.7 on a Thursday back in January. NBC continued with Grimm (0.8) and two-hour Dateline (0.8/0.9), while Fox remained off the map with yet another repeat of Rosewood (0.4) leading into original Sleepy Hollow (0.4). And CBS dominated the night with its first Friday of March Madness coverage (1.4/1.8/1.4). 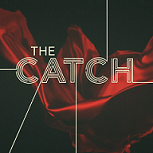 FINALS UPDATE: The Catch (0.7), The Blacklist: Redemption (0.7) and The Vampire Diaries (R) (0.1) adjusted down. CBS began its Thursday March Madness hiatus with low-1's throughout the night, and pretty much everyone else held up OK. On ABC, Grey's Anatomy (2.0) ticked back into the twos, while Scandal (1.4) was even and The Catch (0.8) matched last week's premiere. On NBC, Chicago Med (1.4) had a major surge for an apparently eventful episode, and that preliminarily helped The Blacklist: Redemption (0.8) tick back up to its premiere rating. In the 8:00 hour, Superstore (1.1) led into a decently sampled encore of the Trial and Error pilot (0.8). Fox's Kicking and Screaming (0.6) got even worse in week two, falling below the low point of previous occupant My Kitchen Rules. The CW went totally off the map with two hours of The Vampire Diaries repeats (0.2/0.1). These numbers are current through Wednesday, March 15. OWN's summer success Greenleaf returned in the spring, and the result was a new series low 0.48 and 43% behind its June 2016 series premiere (though that's still near the top of scripted cable this week). FINALS UPDATE: The Middle (1.6) and This Is Us (3.4) adjusted up while Trial and Error (1.4) and Trial and Error (1.0) adjusted down. NBC megahit This Is Us went out on an absolutely triumphant note, exploding to a new series high 3.4. But the show that will be inheriting its timeslot, comedy Trial and Error, had a rough two-episode start (1.4/1.0) in the 10:00 hour. The arrival of DST was unkind to 8:00 anchors NCIS (1.5) and New Girl (0.8), with the CBS procedural posting its second new series low in the last three episodes. But ABC's comedies noticeably bucked the trend, with The Middle (1.6) actually scrounging out an uptick. FINALS UPDATE: The Bachelor (2.7) and Kevin Can Wait (1.3) adjusted up while Howie Mandel All-Star Comedy Gala (R) (0.2) adjusted down. The finale for The Bachelor (2.7) and After the Final Rose (2.4) both spiked from last week, but still came a couple tenths shy of the year-ago telecasts. The DST bug might have been offset by winter weather on the East Coast (PUT was up 2% week-to-week), but there was still a one-tenth drop across the board for the CBS comedies (1.3/1.1/1.1/1.1) and Scorpion (1.1). NBC held up fairly well, with The Voice (2.6) down a tenth and Taken (1.2) steadying in week three. Fox's 24: Legacy (1.0) had a helpful rally back into the ones. However, APB (0.7) fell to a new low. FINALS UPDATE: 60 Minutes (1.2), Chicago Justice (1.2), Shades of Blue (0.9) and The Last Man on Earth (0.9) adjusted up while Bob's Burgers (R) (0.6) adjusted down. Sunday is technically the first day after DST, but for the second straight year Once Upon a Time (0.9) managed to hold steady in this episode, and this year so did America's Funniest Home Videos (1.0). But there was not much else to crow about on ABC, as Time After Time (0.6) shed a tenth in week two and American Crime (0.5) premiered invisibly at 10/9c. NBC continued to dominate despite drops from Little Big Shots (1.7), Chicago Justice (1.2) and Shades of Blue (0.9). Fox's The Simpsons (1.1) also seemingly bucked the DST math, but Making History (0.7) took a brutal two-tenth hit in week two, while Family Guy (1.1) and The Last Man on Earth (0.9) were also down a notch. The worst potentially DST-related hit came from NCIS: Los Angeles (1.1), which was down two tenths at 8/7c for CBS. Madam Secretary (0.8) and Elementary (0.6) stayed even. FINALS UPDATE: Blue Bloods (1.0) and Grimm (0.7) adjusted down. The Vampire Diaries ended a great eight-year run with a 0.4 for a recap special in the 8/7c hour, and up just a tenth week-to-week for the series finale (0.5) at 9/8c. It still tied TVD's best rating since making the move to Friday in January 2016. Crossover night did not particularly liven up CBS' MacGyver (1.0) and Hawaii Five-0 (1.1); the former was down a notch week-to-week while the latter was even. Blue Bloods came back from two weeks off and was even at 1.1. On ABC, Last Man Standing (1.0) stumbled to a new season low, while Dr. Ken (0.8) was down to tie its low. Shark Tank (0.9) was in repeat mode. NBC livened up a bit with Emerald City gone, as the return of two-hour Dateline (1.0/1.1) put the franchise back into the ones for the first time since January. Grimm had its familiar 0.8 at 8/7c. And Fox had another miserable Friday with a second straight combo of Rosewood repeat (0.4) and Sleepy Hollow original (0.4). FINALS UPDATE: Mom (1.4), Powerless (0.7), Chicago Med (1.1) and The Blacklist: Redemption (0.7) adjusted down. ABC's The Catch (0.8) returned to round out the TGIT lineup for the spring, tying its season one finale (which was the ugliest point of the first season run). It led out of Grey's Anatomy (1.9) and Scandal (1.4), which were both down after taking the last one and two weeks off, respectively. 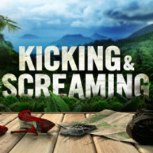 Fox debuted new reality series Kicking and Screaming (0.7) after MasterChef Junior, and it could only manage to tie the low point of previous occupant My Kitchen Rules (and was two tenths below where that show began). On NBC, it was back to reality for Chicago Med (1.2) and The Blacklist: Redemption (0.8), which gave back all of their post-The Voice bounces from a week ago. That still left Redemption with its entire series premiere audience, so it could've been worse. Superstore (0.7) was a repeat, but an original Powerless (0.8) actually ticked up. CBS had one final all-original Thursday before its March Madness hiatus. The Great Indoors (1.4) looked worse than usual, on the downswing while The Big Bang Theory (2.8) was even and 9/8c comedies Mom (1.5) and Life in Pieces (1.3) ticked up. Training Day (0.7) gave back half of last week's bounce. On the CW, recently renewed Riverdale (0.4) was preliminarily even as its lead-in Supernatural (0.5) ticked down. FINALS UPDATE: Star (1.2) adjusted up while Law and Order: SVU (R) (0.7), Law and Order: SVU (R) (0.8) and Arrow (R) (0.2) adjusted down. It was a night of premieres on CBS, with a two-hour Survivor (1.7/1.6) leading into the hastily-scheduled Criminal Minds: Beyond Borders (0.9) at 10/9c. It feels like a pretty modest return by Survivor standards, especially compared to the 2.3 fall opener, but it was still about the same Plus as the 1.9 which opened last spring (which later grew into low-2's for most of the season). Meanwhile, Beyond Borders opened on a new series low and only about in line with a low-end Code Black episode (though it was an improvement on the recently pulled Doubt). On ABC, the big news was the return of Designated Survivor (1.3), which looked fairly robust coming off of a very lengthy in-season hiatus. This would be up from the fall finale and tied for the show's best rating since week four. It led out of comedies The Goldbergs (1.7), Speechless (1.5), Modern Family (1.9) and Black-ish (1.4), which were all on the downside in the prelims. We'll see after finals if this is officially the week Modern finally drops below a 2 for the first time. Fox had the penultimate week of the Lethal Weapon (1.2) and Star (1.1) combo, and it was a fairly soft night for both; Weapon had a new series low, while Star couldn't bounce back from last week's low with a repeat lead-in. And there were drama repeats on both NBC (0.8/0.9/0.7) and the CW (0.3/0.2). FINALS UPDATE: The Middle (1.5) and This Is Us (3.0) adjusted up. The Voice (2.6) and This Is Us (2.9) were back together again for the first time in 2017, and it helped the huge drama to a major upswing, landing just shy of its series high. 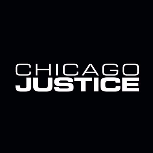 However, it wasn't all rosy for NBC as Chicago Justice (1.3) had a fairly modest outing in another out-of-timeslot effort at sampling in the 10/9c hour. That's at least a couple tenths below what Chicago Fire usually does in the slot. ABC's comedies The Middle (1.4) and American Housewife (1.4) were both on the low end in their first 2017 outings against The Voice, while Fresh Off the Boat (1.1) and The Real O'Neals (0.9) looked pretty normal. The alphabet found something even lower than Agents of SHIELD with the premiere of four-week newsmagazine series People Icons (0.5) at 10/9c. On the CW, The Flash (0.9) and Legends of Tomorrow (0.5) each took a hit, with the latter actually dipping to a new series low. CBS dramas NCIS (1.6), Bull (1.3) and NCIS: New Orleans (1.1) were all even with their last originals two weeks ago. The night's only repeats were Fox's New Girl (0.5) and The Mick (0.5), but Bones (0.7) stayed original. FINALS UPDATE: Kevin Can Wait (R) (1.0) adjusted up while Taken (1.2) adjusted down. It was a down night for both of the reality tentpoles, as NBC's The Voice (2.7) stayed on top but was down a little more sharply on a year-to-year basis in week two. 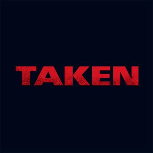 It led into week two of Taken (1.3), which was down by three tenths from last week's premiere. Meanwhile, ABC extended The Bachelor (2.2/2.0/1.6) into the 10:00 hour, making up for last week's lost hour due to When We Rise. On Fox, 24: Legacy (0.9) went fractional for the first time in its fifth Monday airing, while APB stayed at 0.8 in its first week against both Bachelor and Voice. Superior Donuts (1.2) was the only original on CBS, leading out of The Big Bang Theory (1.5) and Man with a Plan (1.2) and into Kevin Can Wait (0.9) and Scorpion (0.8). The CW had another 0.7 from Supergirl, leading into a repeat of Penn and Teller: Fool Us (0.3). FINALS UPDATE: Time After Time (0.7) and NCIS: Los Angeles (1.3) adjusted up. NBC finished out a dominant week with one last dominance, as Little Big Shots (2.0) returned to top the broadcast Sunday landscape once again. It was weaker than its 2.8 timeslot premiere a year ago, but had a nice recovery from its 1.7's at the end of last season. It led into a solid timeslot premiere for Chicago Justice (1.4) and a 1.0 at 10/9c from sophomore drama Shades of Blue. It was the same 1.0 Shades pulled throughout the second half of last season (albeit usually with much worse lead-ins). Outside of NBC, cracking Sunday night remained a struggle. 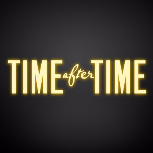 It got especially ugly on ABC, where the two-hour premiere of Time After Time (0.7/0.6) had an awful premiere leading out of a fractional return from Once Upon a Time (0.9). Time After Time started even lower than last year's failed The Family on the night, and it would have to hold up well just to stay even this close to year-ago Family ratings. 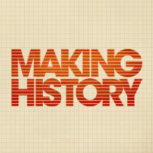 On Fox, the premiere of Making History (0.9) was not quite as much of an eyesore, and at least on premiere night looked better than the later episodes of Son of Zorn. But it was still a couple notches below its The Simpsons (1.1) lead-in and Family Guy (1.2) lead-out, and also rated below The Last Man on Earth (1.0) at 9:30. Fox opened the night with a repeat (0.5) and original (0.8) of Bob's Burgers. CBS had the only night without a premiere, but was back to all originals after sitting out against the Oscars last week. NCIS: Los Angeles (1.2) inched up from two weeks ago, but Madam Secretary (0.8) and Elementary (0.6) were both down. FINALS UPDATE: Movie: When We Rise p4 (0.4) adjusted down. With CBS in repeats, ABC's Shark Tank (1.4) was the only non-fractional program on broadcast, and matched last week's season high in a special 8/7c airing. It led into the last two hours of When We Rise (0.5/0.4), which roughly matched the Thursday telecast. It was finale night for Emerald City (0.7), which was up a tenth after a string of 0.6's through the second half of its order. It was sandwiched by steady Grimm (0.8) and Dateline (0.8). The CBS dramas (0.7/0.8/0.7) as well as Fox's Rosewood (0.4) were all in repeats, and that helped usher an original of Sleepy Hollow to a new low 0.4. A week before its series finale, The Vampire Diaries stayed at 0.4, leading into another 0.2 from Reign. FINALS UPDATE: Movie: When We Rise p3 (0.4) and Life in Pieces (R) (1.1) adjusted down. 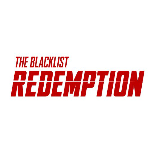 An hour of The Voice blind auditions was cut off by the presidential address on Tuesday, and NBC plugged it into Thursday (2.3), providing sizable boosts to Chicago Med (1.7) and week two of The Blacklist: Redemption (1.0). It was easily Med's best rating since making the move to Thursday. NBC had little resistance from the usual Thursday leaders, with ABC enduring another three hours of When We Rise (0.5/0.4/0.5) including a documentary on the event in the 8:00 hour. CBS went with comedy repeats (1.6/1.3/1.5/1.2), including The Big Bang Theory anchoring both hours. Of some note is that the Life in Pieces repeat actually tied last week's original, while Training Day (0.8) saw a noticeable uptick in its first airing since the death of series lead Bill Paxton. On Fox, MasterChef Junior (1.1) inched down against The Voice, but My Kitchen Rules (0.8) got a tenth back. And the CW had a bit of a sigh of relief as Riverdale was able to get back to 0.4 after last week's big drop. Supernatural stayed at 0.6. FINALS UPDATE: The Goldbergs (1.8) and Criminal Minds (1.3) adjusted up. NBC's week of dominance rolled into Wednesday with significant bumps for Chicago Fire (1.7) and especially Chicago PD (1.9) as part of a three-way crossover. It was a new season high for PD and almost certainly will go down as the show's highest single-episode Plus in its history. That set the table for a strong launch at 10/9c for Chicago Justice (1.7), which went ahead of everything PD had done in the 10/9c hour this season. On ABC, Modern Family managed to cling to a 2.0 in an 8:30 airing, building noticeably out of its lead-in from The Goldbergs (1.7). But that was no help for night two of When We Rise, as the low-rated ABC event ticked down to 0.6. CBS had the finale of Hunted, which finished up with another respectable 1.2. But Criminal Minds (1.2) ticked down against the huge PD. A repeat of Bull (0.7) occupied the 10/9c hour and ticked up from last week's episode of the pulled Doubt, as Criminal Minds: Beyond Borders gets ready to take over the hour next week. Fox's Star (1.1) was also on the downswing, hitting a new series low, but it also had to deal with a repeat of Lethal Weapon (0.7) as a lead-in. On the CW, Arrow (0.6) ticked up from last week's low, while The 100 preliminarily hung at 0.4 yet again. FINALS UPDATE: Fresh Off the Boat (1.1), The Real O'Neals (1.0) and The Wall (R) (1.0) adjusted down. Numbers and analysis coming shortly. A presidential address effectively reduced the entertainment night to one hour; NBC had its first Tuesday edition of The Voice, while ABC tried out the 9:00 comedies Fresh Off the Boat and The Real O'Neals an hour earlier. These numbers are current through Monday, February 27. The Academy Awards have never been a major stumbling block for The Walking Dead, and this year was no exception; it was down just 6% to a 4.95 this week. That point was down 19% from the year-ago telecast against the Oscars, basically the same trend as the -20% from week two.